Your young learner can have a blast experimenting with addition facts in the Math Lab! 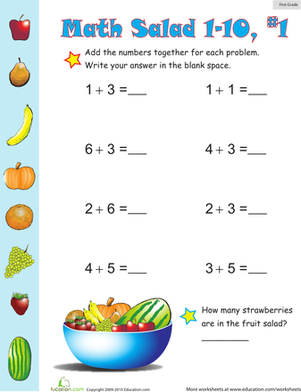 This math splash worksheet is a fun way to get your child to practice addition! 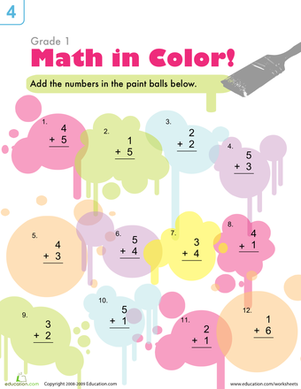 Your child will solve addition problems printed in the paint splash. Give your first grader some at-home math practice by asking him to solve this page full of one-digit addition problems. Searching for a worksheet that practices addition and subtraction? This Animal Math printable is perfect for beginning math stars!